The 1937 is a milestone for the company Alexiou, started to operate in the field of industrial weighing, with the construction of mechanical scales. In 1985, after nearly 50 years, evolved into its present form in ALEXIOU SA, transferring the expertise and credibility with full knowledge of the needs and the ability to immediately respond to the demands of the Greek market. In 1997, certified for the first time under the standard ISO 9001, ensuring the same quality for all products manufactured and certified in 2009 under the revised standard now ISO9001: 2008, retaining full Electronic Quality Management System. In privately owned facilities of our company, located in the Industrial Area of ​​Mandra, carry the whole production process from design, planning construction and maintenance of weighing machines, spare parts and pilot plants. Featuring Production Department and Department of Electronic Laboratory manufacture both mechanical and electronic parts of weighing machines offer. Also Mass Calibration Laboratory offers a full package of coverage regarding calibration standards weights and weighing machines. 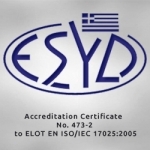 This gives us great satisfaction as the only possible exception in the Greek market. With features like reliability, responsiveness and flexibility as manufacturers have the advantage to offer all our customers a complete package of coverage from the first time communication to offer up technical support any time. The valuable customers, our export our products to Egypt, Syria, Lebanon, Libya, Saudi Arabia, Romania, Albania, Bulgaria, FYROM, and their recognition in the international arena is the best our recommendations and honors the reliability and consistency of our factory. The weighing our machines and automation, find applications and operating in all industries. Automate all the process steps of a plant eg mixing – the movement of raw materials, weighing and packaging of products and carry out random or total weight control them. At the same time is possible, through H / H or electronic Weighing, monitoring and controlling the entire production process and compliance statistics, which may involve the consumption of raw materials and the production of each product at desired intervals. The electronic components of our factory, supports weighing machines & automation software (SOFTWARE) tailored to the needs and characteristics of your business. Examples include: Ministry of Transport and Infrastructure Network, Ministry of Rural Development & Food KTEO, OTE, PPC, OSE, MOTOR OIL SA, Titan SA, ELVAL SA, Halcor SA, GREEK CABLES SA, AMSTEL SA, COMPANIES AIR AIRWAYS, Corinth Pipeworks SA, Port Authority and Port funds in Greece, Agricultural & olive-Cooperatives across the country, as HELECTOR Ventures, Terna, prefectures across the country.